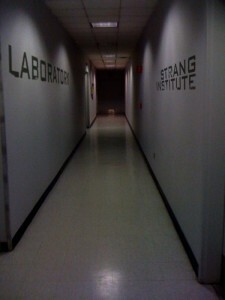 Here are a few pics I took in one of the hallways of the lower levels here at Strang Institute Mission Control. 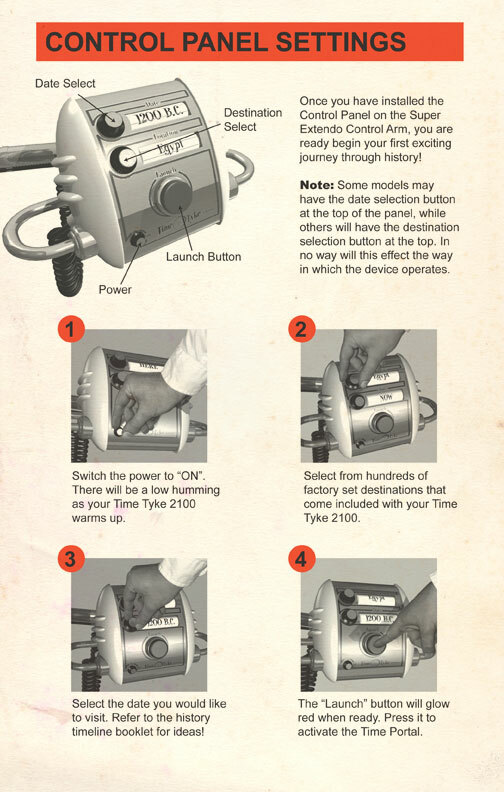 Check out that interesting control panel. I don’t think it’s been used in fifteen years at least. Somebody drew Ellie on the wall too! It’s been a busy week. Mission Control’s been buzzing with all the Facebooking and cartooning and such going on. 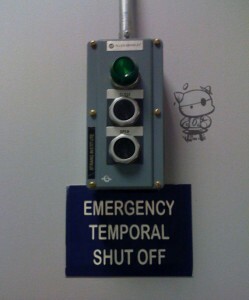 I finally made it back down to the basement storage rooms here at the Strang Institute. Last week I posted a few pages from a 1970’s instruction manual for the Institute’s Time Tyke 2100 time machine that was marketed to kids back then. This was a smaller version of the adult-sized Time Master. 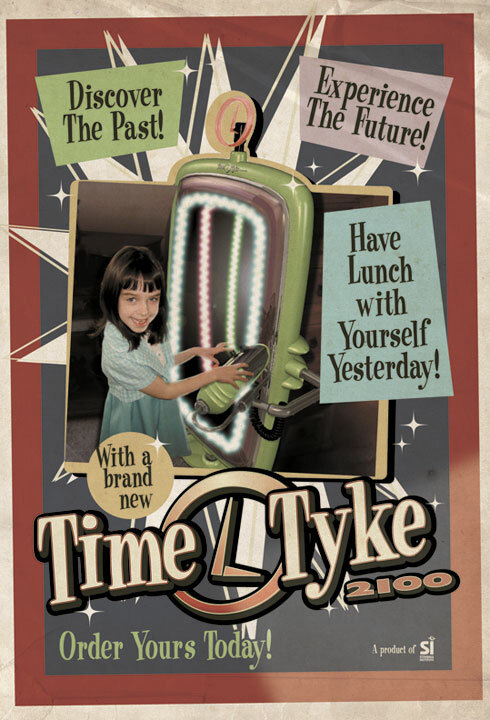 Well here’s a poster from (I think) the late 80’s or early 90’s for the Time Tyke. I found a stack of them, but this was the best looking of the bunch. The rest were torn or water damaged. Back yesterday on this post, reader Frank mentioned, in regard to Ellie’s perceived ESP, that “the implications of NASA having had the technology – thirty years ago – to know what a brain is doing…are just too terrifying to contemplate.” I explained that it wasn’t NASA, but The Strang Institute, where Mission Control is located, that launched Ellie into space so long ago. The Strang Institute was also involved in all manner of scientific research (much of it classified) from the 60’s to the early 90’s when the good Dr. Cornelius Strang disappeared (it was in all the papers if you recall). After that they just kept a skeleton crew on to monitor Ellie’s progress until we started receiving her signals from Planet X (we’ve got a full crew on staff now). 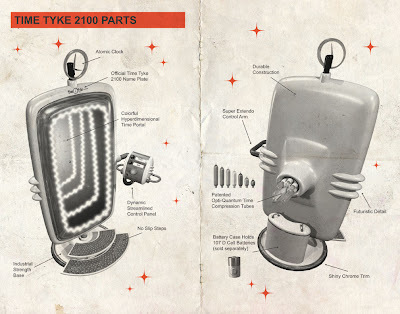 Anyway, I said I’d head down to the basement to see what kind of goodies I could find concerning the Institute’s past. So I grabbed a flashlight and hopped the elevator to the dusty, musty lower levels to see what I could see. The basement hasn’t been cleaned up since then and most of the lights were out, but I was able to find a few interesting things. I forgot that The Strang Institute had a consumer division back then. 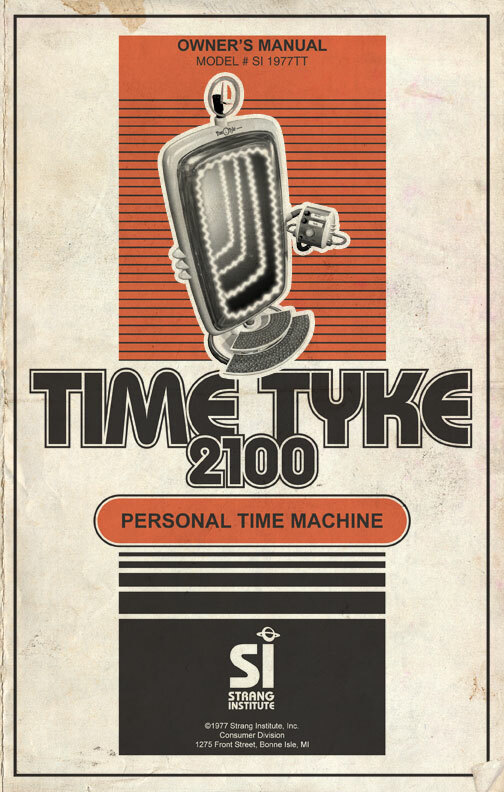 Some of you might remember the personal time machines they used to sell. I always wanted one but never did get one. I got that Atari for Christmas instead. 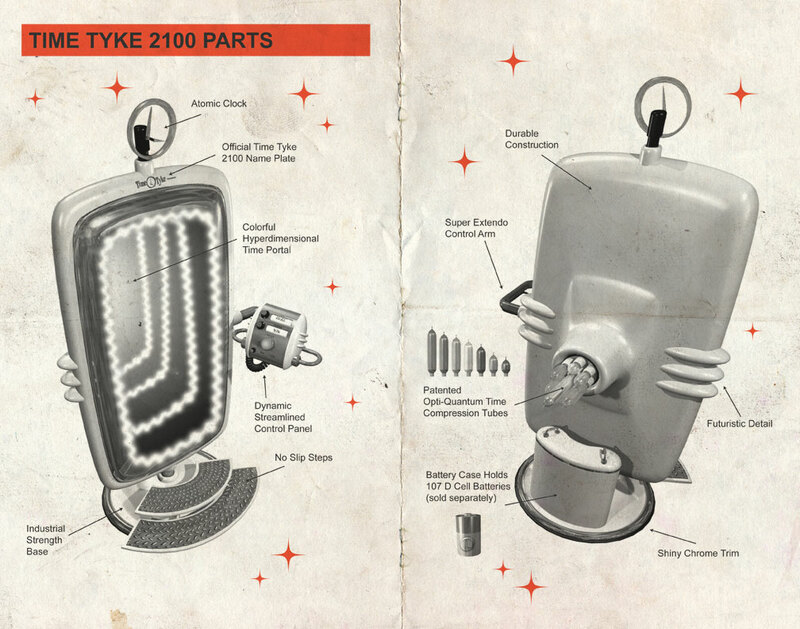 Anyway, here’s a few scans from an old instruction manual I found in a (previously) locked file cabinet. There’s a few locked doors down there too. If I can find the keys I’ll see what other fun stuff is in there!